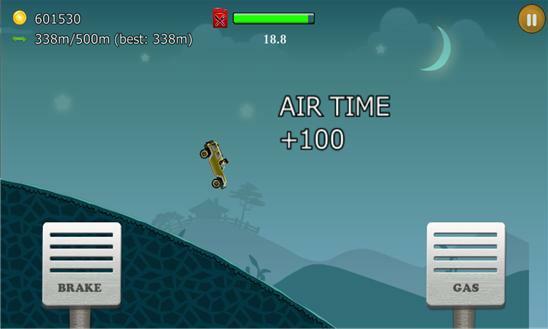 The most addictive physics based car racing & bike racing game is coming! Control your car or bike to climb hills with most realistic control to face the challenges of unique uphill & downhill environments. 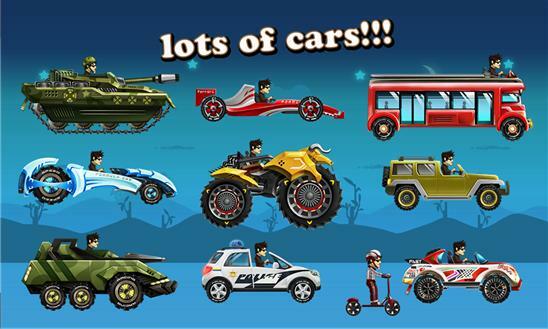 Gain bonuses from tricks and collect coins to upgrade your car and reach even higher distances. Features: - Lots of different vehicles with unique upgrades (many different vehicles: monster truck, tank, jeep, etc.) - Upgrade ENGINE, TIRE, SUSPENSION, ROTATION, GAS POWER, 4WD, etc - Numerous scenes with levels to reach in each. - Multiplayer! You can challenge your Facebook friends or random users. Come to join this this mad uphill climb racing game now!